Hey everyone! You know that I always love it when people do projects that are great for little girls, because I have no little girls in my life! (Well, except two nieces. But they are counteracted by five nephews.) 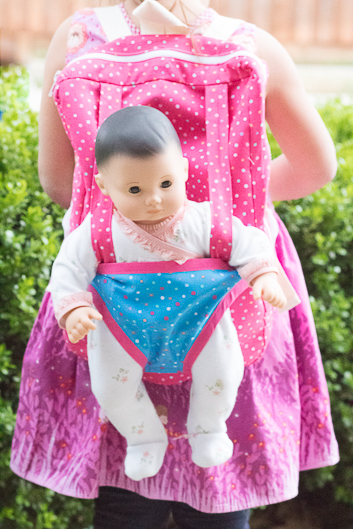 Anyway, this baby doll carrier and backpack tutorial from Paola at Sweet Julie Boutique is SO perfect for a cute little girl to carry her dolls. Now, I’m no dummy! I know that it can also be used for boys! My little guys would love to throw a stuffed animal in there and carry it around. 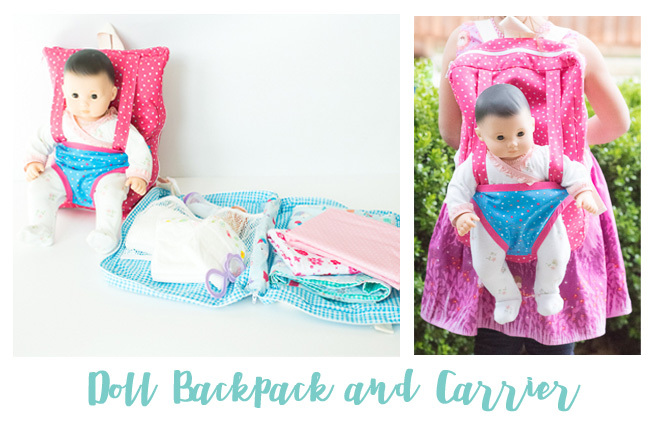 I’m so happy to get a new project for you, this doll backpack and carrier is perfect for your little one’s dolls (and it fits Bitty Babies too!) My little one is obsessed with playing mommy so she takes her babies everywhere. This carrier is perfect since it helps her not only to carry the babies but also take their baby essentials along the way. 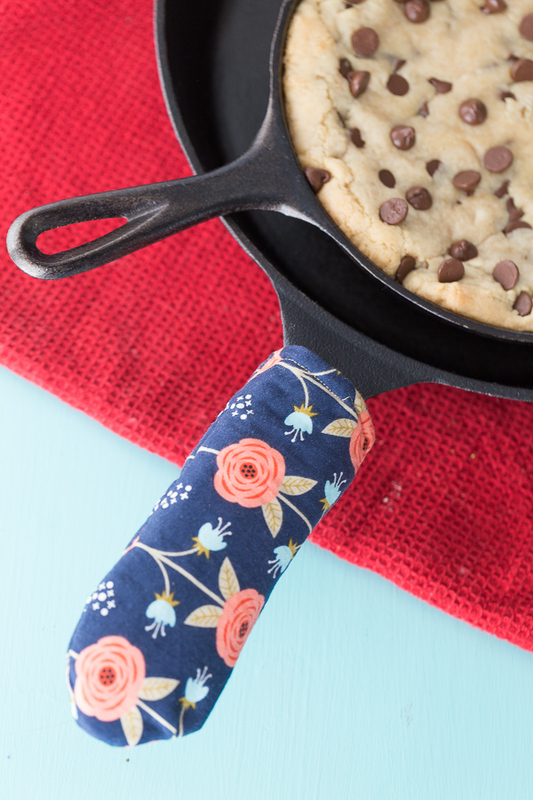 Are you ready to become your daughter’s favorite person? 1 small piece of net fabric (at least 18″Wx 7″) for pocket if desired. Attach one side of 3/4″ velcro piece (it doesn’t matter if it’s the hook or loop side) to lining of carrier piece, 1 inch down from the top, 2.5 inches from each side. Place wrong sides together with main carrier piece, pin and baste. Apply bias tape to leg openings and top side. 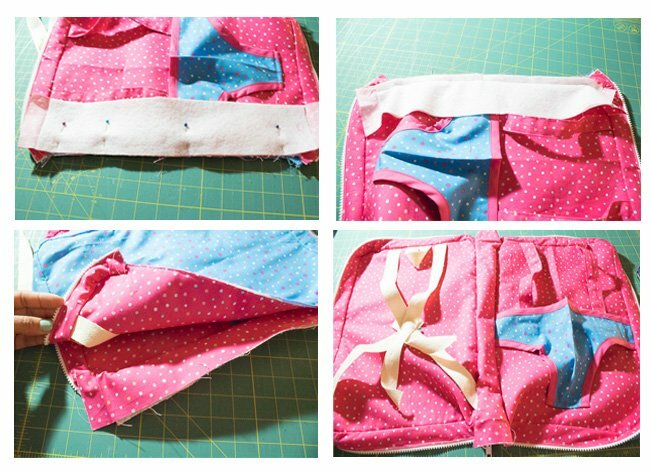 Finish bottom with a serger or zig-zag stitch. 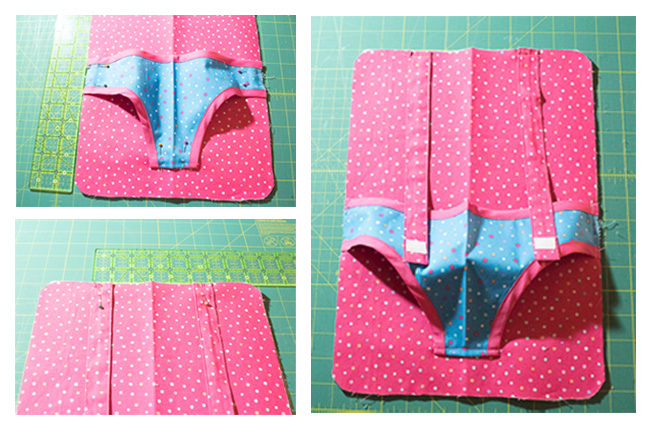 Fold the bottom 3/8″ towards the lining side and press to set. 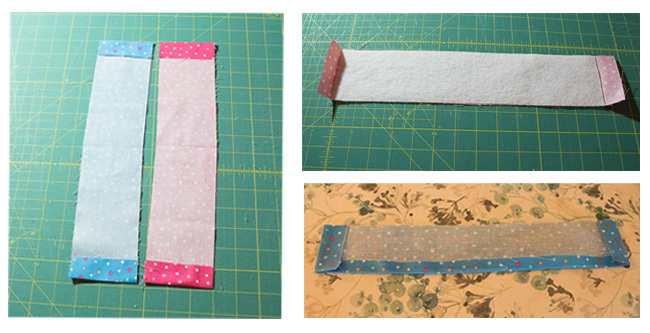 Fold your 3″ x 11″ pieces right sides together, along the long side and press. Sew along the long side and one of the short sides. clip the corner, being careful not to cut through the stitching. 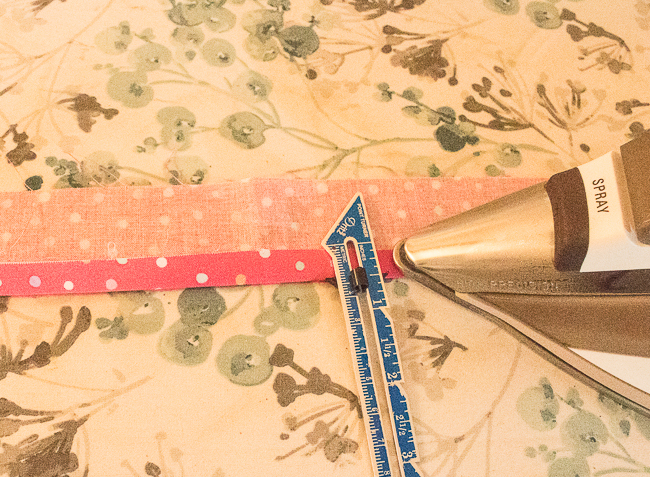 Turn your strap pieces over, press and topstitch. Apply velcro 1/2″ from the bottom. Apply fusible fleece to the back of the main backpack piece. Fold the piece in half along the long side, wrong sides together. Do the same with the carrier piece. Press. This will help center the carrier piece onto the front backpack piece. Place the carrier piece on top of main backpack piece. The top of the carrier piece should be placed 8 inches from the bottom. Pin and repeat on each side. Center the carrier piece, aligning with the press mark we made on the previous step. Pin. 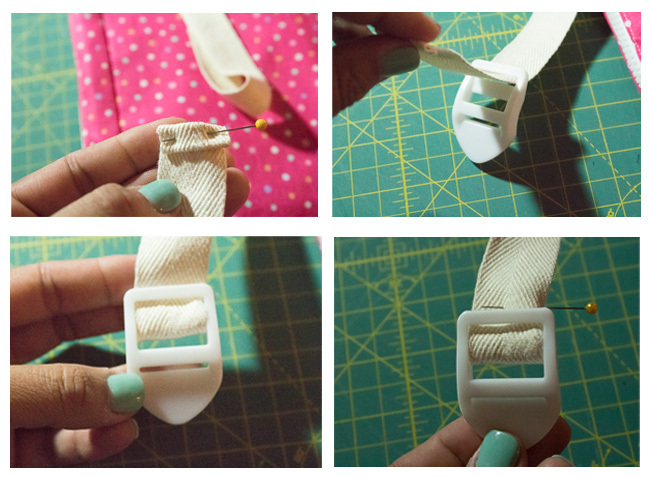 Place strap pieces, with velcro side up, 2.5″ from each side. Pin. 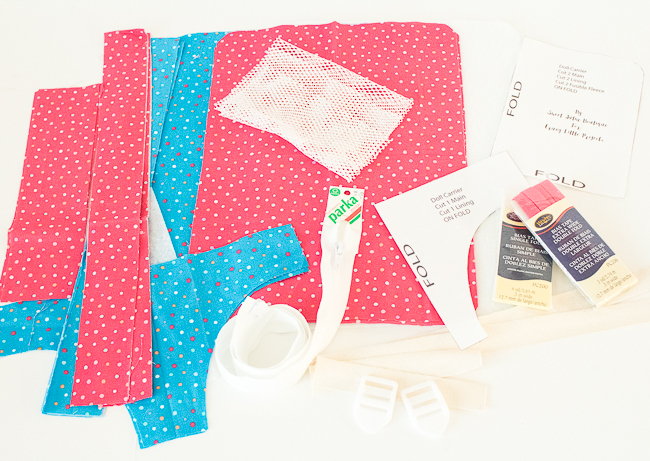 Now sew where you pinned, with a 1/4″ seam allowance. The carrier part should bulge a little bit, to make room for the doll. If you want to add an inside pocket, you can use a 18″ W x 7″ L piece of net or fabric. Cut 2 pieces of double fold bias tape the width of the backpack piece. Gather the net or fabric to the width of your bias tape, attach to the bias tape and sew along the sides and bottom of the lining piece. Now place the main backpack front piece on top of the lining piece, wrong sides together, pin and baste with 1/4″ seam allowance. Grab your 3″x16″ pieces and fold 1″ to the wrong side of fabric on each one of them (main and lining pieces). Apply fusible fleece to main piece, from one fold line to the other (the fusible fleece piece is 14″x3″). On the lining piece, fold one of the long sides 3/8″ to the wrong side. 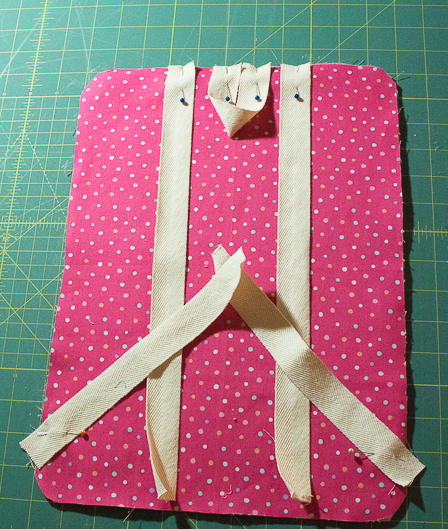 Apply fusible fleece to the wrong side of the remaining main backpack piece (back) and pin straps 3″ from each side. You could also use a 6″ piece of cotton webbing and create a loop in the center to hang. Apply the bottom pieces of webbing 1″ from the bottom and at an angle. Sew with 1/4″ seam allowance. Grab your 3″ x 37″ pieces and press along one of the long edges of each, 1/2″ to the wrong side. This will create a memory press and make attaching the zipper easier. Pin one of your 3″ x 37″ pieces 1 1/2″ from the top of the front backpack piece. 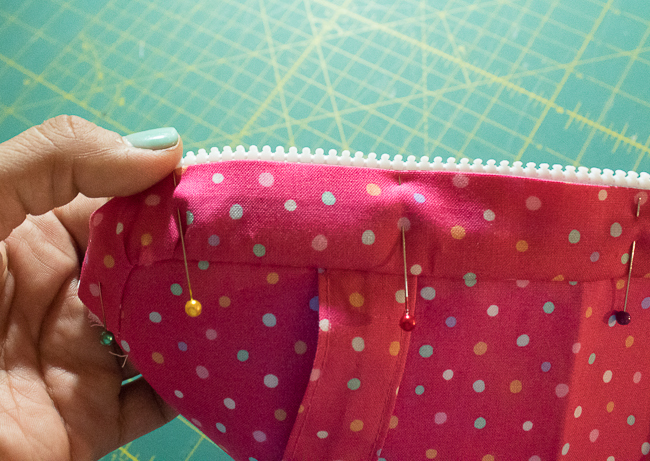 You will also grab a lining piece and pin right sides together to the lining. The main backpack piece will be sandwiched between the main and lining pieces. Pin along the side of the piece that was not pressed to the wrong side (step 9). 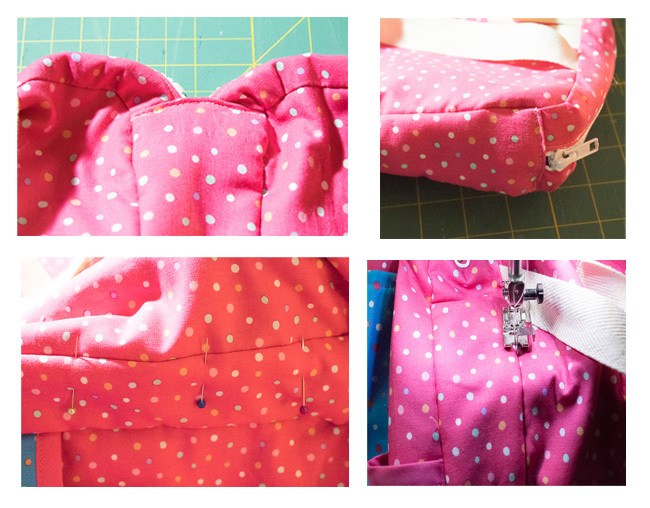 Pin around the main piece and sew with 1/2″ seam allowance. Repeat with back piece. Make sure to start to the right of the front piece and to the left of the back piece, so both pieces match when joined later. Attach the zipper. 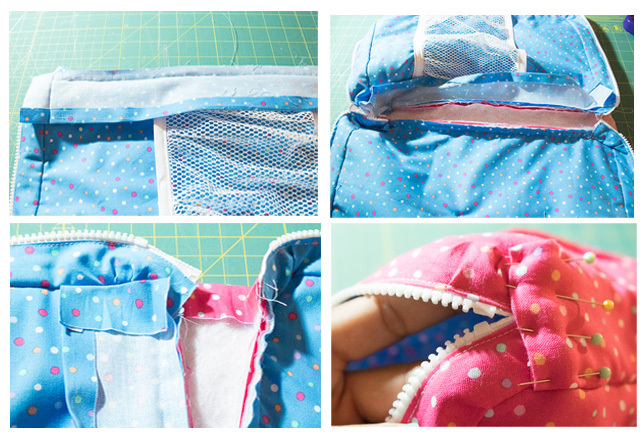 You can either pin or use wash away tape to secure your fabric to the zipper. Make sure to catch the lining when you pin, the memory press you created on step 9 should help make this process easier. 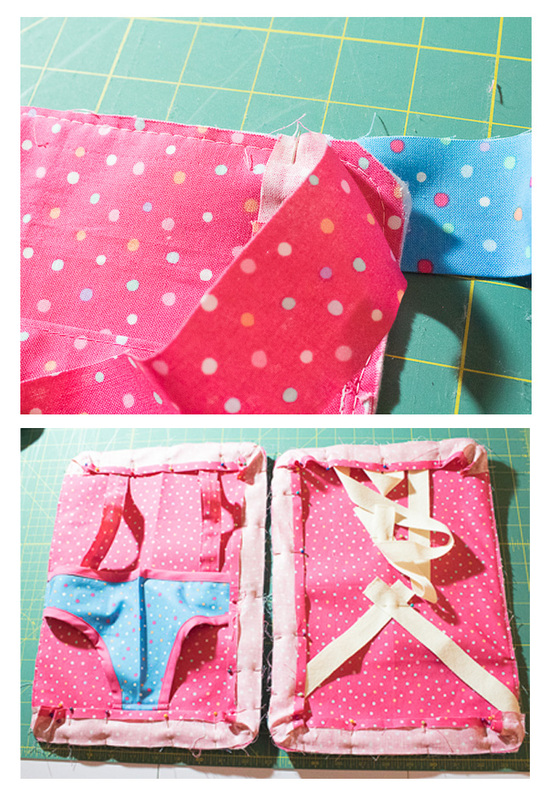 Sew using your zipper foot. 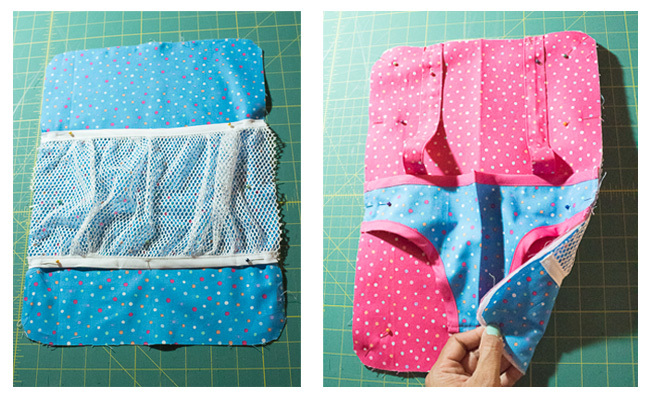 Attach your main fabric 16″ x 3″ piece, right sides together to the main backpack piece, along the left side (the side without zipper). 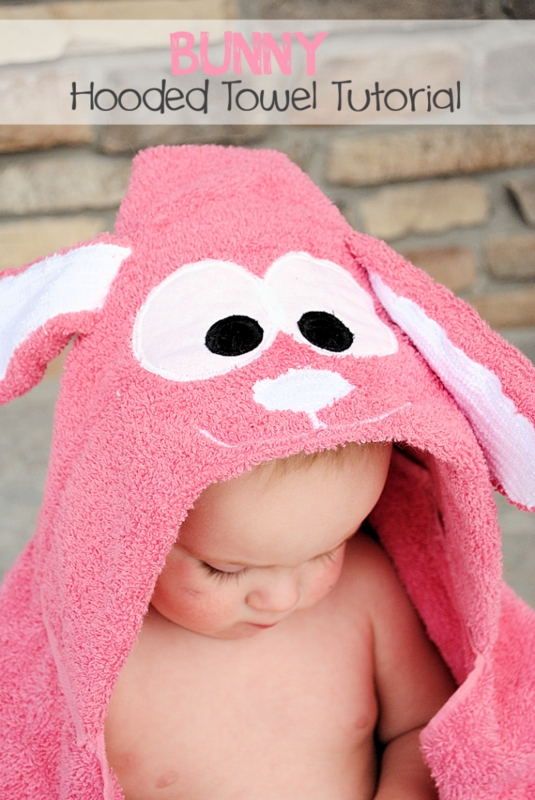 Only sew from one end of the fusible fleece to the other, leave the 1″ ends that do not have fusible fleece unfolded. Next, attach the other side of that piece to the right side of back of backpack. Attach the lining 16″ x 3″ piece (the one that has no fusible fleece) to the right of lining piece (the one with pocket) and sew from one end of the pressed mark to the other, leaving 1″ on each side. Fold the 1″ that remains on top and bottom of that piece to the wrong side on both the lining and main fabric, make sure side of the piece stays folded following the memory press we created earlier. Pin together enclosing the zipper piece. Sew making sure to catch the lining. Repeat with other side. Now it’s time to take care of the straps. 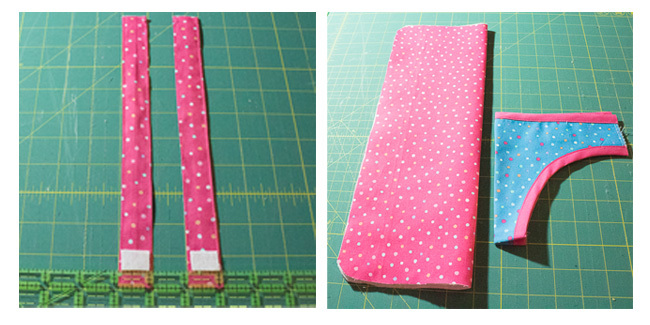 Grab your bottom strap and fold it 1/4″ twice and sew to enclose. Repeat with other bottom strap. For the top strap, fold it 1/4″to the wrong side, slide through the first opening on strap ladder, run through second opening and pin. Sew to secure. Repeat with other strap. Grab your bottom strap and run it through the second opening on the strap ladder, from the bottom up, and then down through the remaining opening and adjust as necessary. That’s it! You are now done! Hopefully you won’t be having to carry your little girl’s babies anymore, it looks like she should be able to manage now. The pattern is is the supply list.